As a Student Ambassador, candidates and potential students often come to me with a series of questions that shows the same main concerns for all of them. In this article, I want you to have direct access to the most frequently asked questions. 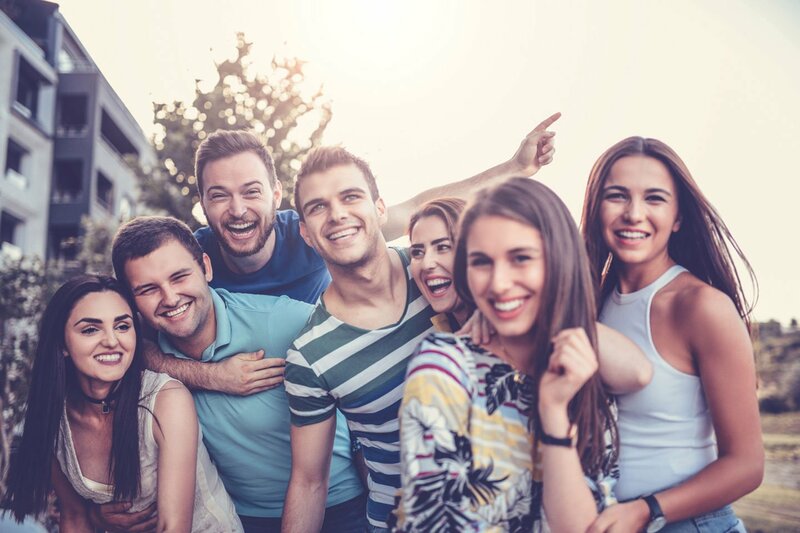 As a Student Ambassador, candidates and potential students often come to me with a series of questions that shows the same main concerns for all of them. 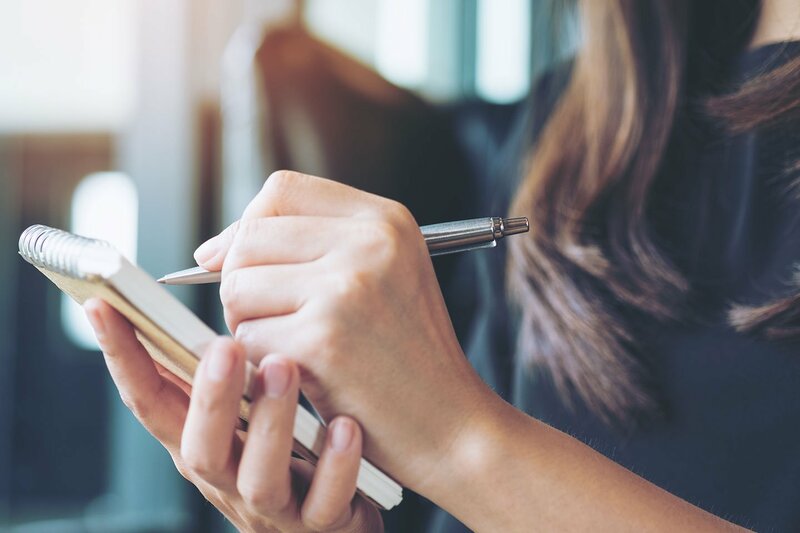 In this article, I want you to have direct access to the most frequently asked questions, so as to optimize your time and helping you making the best choice for you. I feel most potential students are really seeing it as the hardest step, but it shouldn’t be. The aim of the interview is to get to know the candidate, to understand his/her motivation and see if they are a good match for EHL. The interview is definitely not here to trick you or make you feel uncomfortable, it should be considered more as a discussion to get to know you. Still, one big piece of advice that we can give you is think about it as a job interview and be yourself. I know it is easy to say but this is the most accurate way to ensure that you get the best out of the interview. A lot of potential students want to know what life as an EHL student is like so here is a look at my experience. To be completely honest, I feel that my studies at EHL have been both an academic, professional and personal journey. The growth in these three areas is huge, I feel like a totally different person that I was when I started 3 years ago. I have to say that going to EHL was the best choice I could have made and would do it all over again! I feel like we have so many opportunities around us, we get to be surrounded by people from all around the world, learning daily about cultures, and applying what we learnt every day in our student life. In fact, all the committees we have on campus give us incredible possibilities to meet people, work on fantastic projects and gaining experience. To me, EHL is way than a university: it is a school of life that prepares you for an even brighter future. As you probably know, EHL offers two intakes: one in September and the other one in February. Many candidates see the February intake as a “failure”. Let me tell you that there is absolutely no difference between the two intakes. The main reason this intake is here is because, since you cannot join EHL before you turn 18, having two intakes in a year helps you start at latest 6 months later instead of a whole year. Additionally, it also gives the opportunity for those who need to do an internship before joining the school, to have the time to do it and then start right away, without further waiting. Actually, starting in February means you’ll have more semesters during spring than winter, and for many of you, I’m sure that’s a bonus. EHL is first of all a Management school. Sure, it is centered on hospitality but for those of you who are unsure whether you want to work in the hospitality industry, do not worry, EHL offers plenty of possibilities after graduation. You can go on see them for yourself. As an example, I did my administrative internship (BOSC 4) in the pharmaceutical industry and studying hospitality was actually quite helpful! 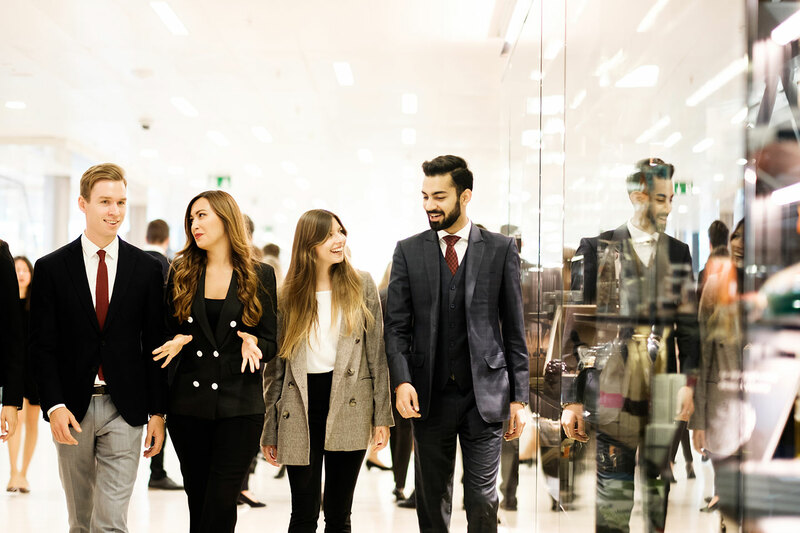 In fact, you will see that (sense of) hospitality is involved in any industry, and studying at EHL can only give you bonus points when working for a completely different business. EHL’s bachelor program includes two internships. The first one during the Preparatory Year and the second one during the third year. For many students, finding the perfect internship might be challenging. As much as we are the ones who need to look for it – no one is going to do it for us – EHL has ways to help us during our research. The Career Fair is hosted once a semester. During a whole day, more than 200 companies come on campus to recruit students. This event is the most important one to attend (whether you look for your first internship or your first job once you graduate). You will have the opportunity to reach out to some of the biggest companies and give them your business card and CV. It is also an amazing networking opportunity. A second help is the job platform. This one gives you access to internship and job offers that companies decide to post specifically for EHL students. From this platform, you can apply to as many jobs as you want and therefore expanding the chances of finding the internship you dream of. Finally, there is also the Internship Office. The latter can help you if you are struggling with your research and are your contact point for any issue you may encounter during your internship. 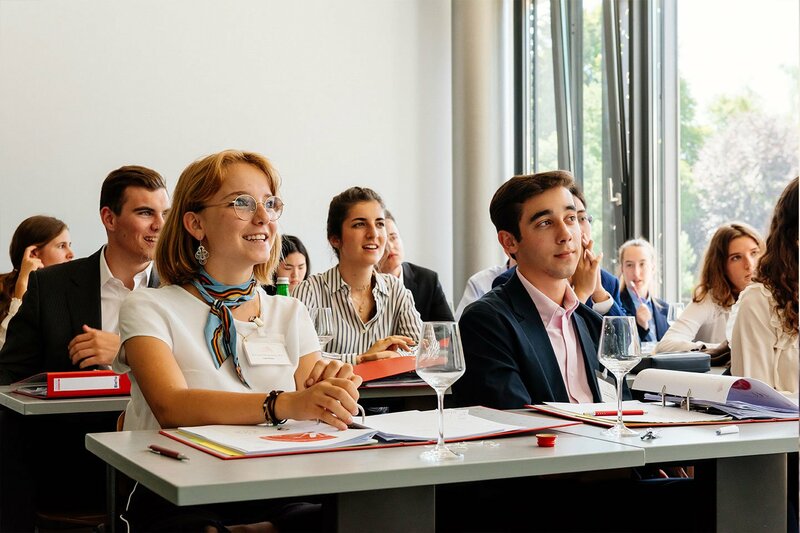 EHL hosts students from more than 110 countries and most of them do not speak French. Being an international school, all students are required to speak English hence, speaking French on campus is not as important, as we communicate mostly in English. 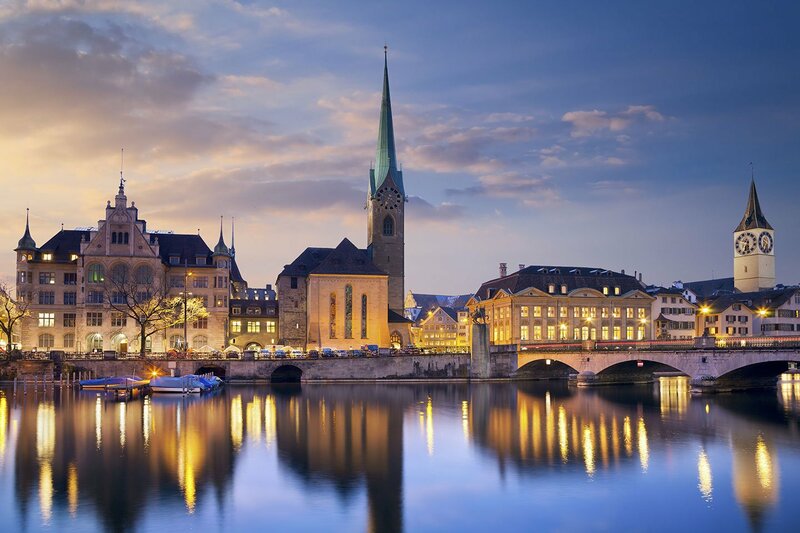 However, being in the French part of Switzerland, speaking French will help you in your daily life. For those of you who can only say “Bonjour”, do not worry because EHL offers French classes to all English section students which will help you have no trouble living in a French speaking country! The campus will extend for 60,600 sqm, will have the capacity to host more than 3,500 students and will accommodate 1000 of them. 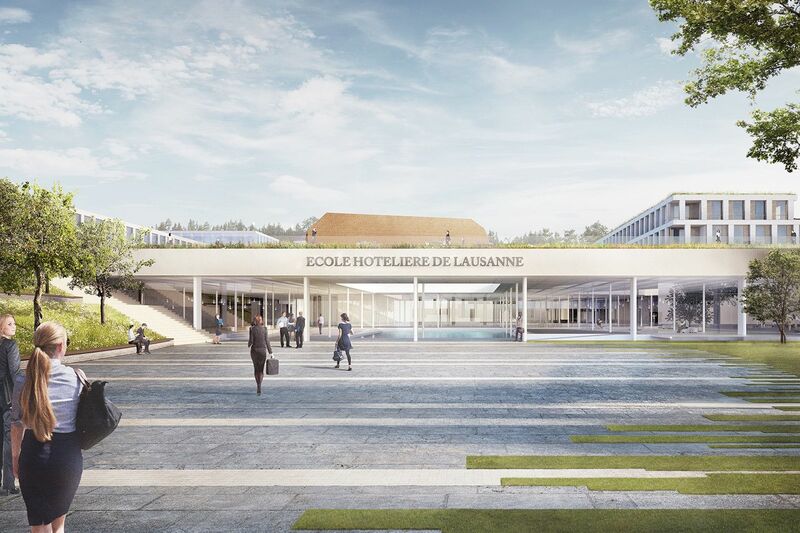 Additionally, the new campus will integrate new facilities such as an oenology room, a pedagogic garden, a swimming pool, indoor and outdoor sports and many other! See what your future school could look like. The dress and professional appearance are part of EHL’s principle of “savoir-vivre” and “savoir-être” and applies to anyone on campus. It encourages a professional and responsible attitude and is the first image given to employers and visitors. During the Preparatory Year, your schedule will probably look nothing like any previous schedule you had. In fact, some workshops (such as bakery) will have you get up at 5 am (but this also means you get to taste fresh out of the oven croissant, which makes up for it), for some others (such as service at the Berceau des Sens) you will have to stay until midnight, ensuring the best service to the customers. Your schedule will vary weekly, keeping the excitement high during the whole semester. Once you come back from you internship and effectively start the Bachelor program, you will have a schedule that looks more classic. Still, you won’t have as many classes as you used to have during high school. EHL really focuses on group project and therefore, your timetable will revolve around this. For almost all of your classes, you will have to submit a group project so your schedule will be different day to day. However, you will still have time for your friends and other activities you might want to do, just make sure you schedule them: EHL students just love to have everything in their Outlook calendar, we are business people! Last but not least, the EHL Academy is a one-week program of interactive workshops and fun activities. It is designed to give you a taste of EHL’s bachelor program. For those of you who are interested in EHL but want to be sure they are making the right choices, then this is for you! 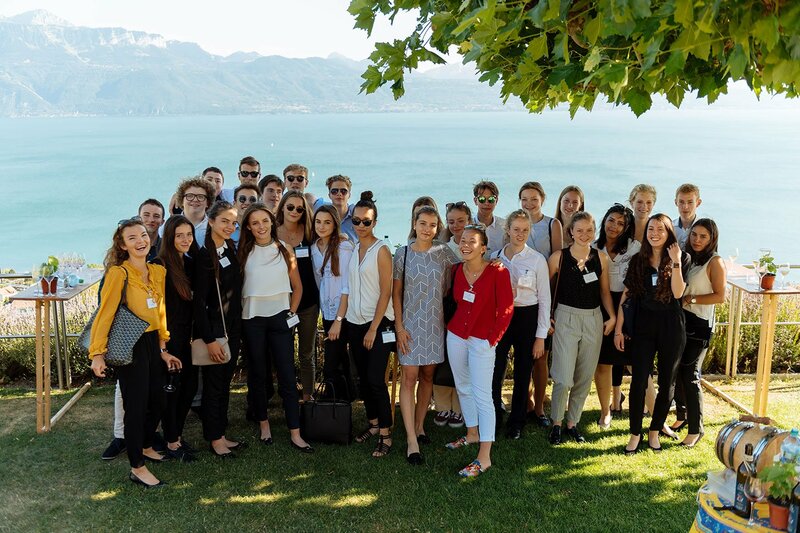 You will have a special inside look into the hospitality industry by exploring the latest trends, developing new skills and sharing experiences that build international friendships as well as enjoying Switzerland’s magnificent landscapes. EHL also gives you the opportunity to chat directly with Student Ambassador thanks to the Unibuddy platform. Should you have any questions, feel free to reach out to us, we are more than happy to help you in your journey!